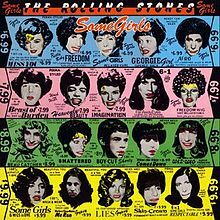 The band’s next album Some Girls, included the hit single “Miss You”, the country ballad “Far Away Eyes”, “Beast of Burden”, and “Shattered” their next albums Emotional Rescue and Tattoo You were both released in 1980 and featured the single “Start Me Up”. in 1982 the Rolling Stones toured Europe to commemorate their 20th anniversary and released their next album Undercover in late 1983. In 1986′s the album Dirty Work was released,which contained the song “Harlem Shuffle”.The next album “Steel Wheels” included the singles “Mixed Emotions”, “Rock and a Hard Place”, “Almost Hear You Sigh” and “Continental Drift”. their next studio album 1994′s Voodoo Lounge,went double platinum in the US. and went on to win the 1995 Grammy Award for Best Rock Album.The Rolling Stones ended the 1990s with the album Bridges to Babylon which was released in 1997. In 2002, the band released Forty Licks, a greatest hits double album, to mark their forty years as a band. 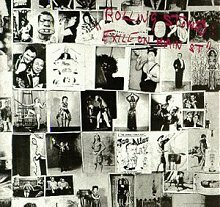 On 12th November 2012 The Rolling Stones released the album Grrrr to celebrate their 50th anniversary and have also made a documentary called Crossfire Hurricane. In 2017 The Rolling Stones released the album Blue and Lonesome and the live album On Air. Predictably Helen finds herself the victim of local slander soon afterwards. Refusing to believe anything scandalous about her, Gilbert Markham, a young farmer, discovers her dark secrets about her marriage to Arthur Huntingdon a handsome, witty chap who is also spoilt, selfish, and self-indulgent, whom she marries blinded by love and resolves to reform with gentle persuasion and good example. Upon the birth of their child, Huntingdon becomes increasingly jealous of their son (also called Arthur) and his claims on Helen’s attentions and affections. Meanwhile Huntingdon’s dissolute friends lead him astray by frequently engage in drunken revels at the family’s home, Grassdale, oppressing those of finer character. Both men and women are portrayed as degraded, The novel deals with her husband’s physical and moral decline through alcohol and the world of debauchery and cruelty. 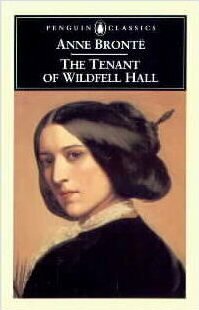 Not surprisingly Helen decides she’s had enough and flee’s with her son, eventually arriving at Wildfell Hall….